The Edox name has been linked to water sports ever since the 1961 launch of their groundbreaking Delfin automatic watch. This durable design featured a patented double shock protection system and double crown gaskets that was water resistant to 670 feet. This remarkable timepiece was followed by the Edox Hydrosub in 1965, which was water resistant to an amazing 1640 feet. From the popular Grand Ocean Collection to Christian Redl’s special Iceshark III, Edox has demonstrated a unique affinity for the water. With almost 130 years of experience in the art of watchmaking, Edox has become an expert at adapting their unsurpassed timekeeping expertise to the needs of sailors and sportsmen. The new Grand Ocean Extreme Sailing Series Special Edition features a spectacular 48 mm 316L stainless steel case with a specially designed engraving on the caseback in celebration of the Edox partnership with the Extreme Sailing Series. This impressive automatic chronograph is powered by a precision Swiss made ETA 2892-A2 mechanical movement and is water resistant to 900 feet. The uncluttered, extremely legible chronograph dial has been designed to be easily read during the difficult conditions faced by sailors in open water. 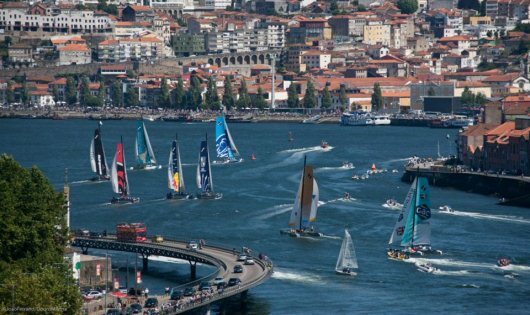 The intense, short races that are characteristic of Extreme Sailing events can be easily and reliably timed with this dependable watch. The timepiece features a scratch resistant sapphire crystal and has been fitted with a dramatic, structured black rubber strap. Edox continues to go to extremes to set new standards for innovation and excellence. Although the new Grand Ocean Extreme Sailing Series Special Edition was designed for professional sailors, you don’t have to race in the Extreme Sailing Series to own one. If you’d like to see one of these big, bold masterpieces on your own wrist, we urge you to contact an authorized Edox dealer immediately and reserve your Extreme Sailing Series Special Edition while supplies last. When Christian Redl attempts a world record ice dive at an altitude of over 15,000 feet, he’ll be wearing one of very few timepieces up to the challenge: the Edox Iceman II. 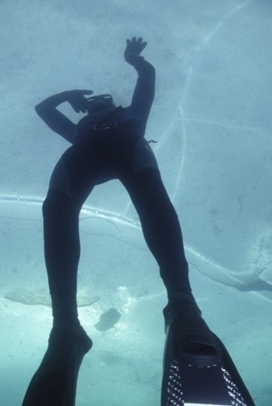 Extreme freediver Christian Redl currently holds the world record for diving under the ice. This demanding sport tests the limits of human endurance with brutally cold water and limited visibility. This October, Christian will take ice diving to a whole new level when he attempts a record breaking dive at the world’s highest freshwater lake system: the sacred Gokyo Lakes in Nepal. 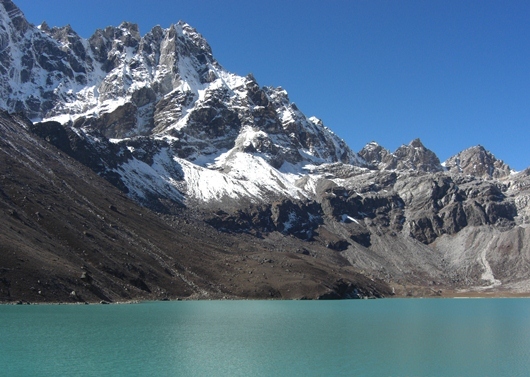 These six lakes are located at altitudes between 15,400 and 16,900 feet and are 203 feet deep. Like everything in the Himalayas, the diving conditions will be extreme. Just getting to the lakes will be a gigantic challenge. In addition to the cold, wind, and snow, Christian Redl will be breathing air that contains only 14% oxygen. Under conditions like these, Christian will need all the help he can get, including a technically advanced watch that will provide the accuracy and reliability he needs. It’s not surprising that Christian Redl has chosen the Edox Iceman II Limited Edition for his record-breaking attempt. The Iceman II Limited Edition is an amazing timepiece. In recognition of the 203 foot depth of the Gokyo Lakes, only 203 pieces of this superb diving tool will ever be produced. 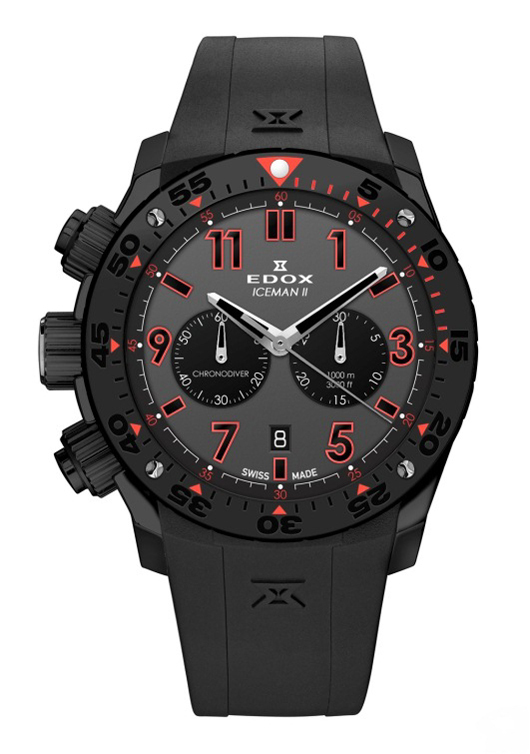 The 45mm Iceman II Limited Edition features a durable 316L stainless steel case that has received a special black PVD coating to provide the best possible contrast with the bright red numerals and indices. The unique combination of a left hand crown and pushers, an easy-to-read “two eye” chronograph configuration, and an extremely high visibility dial, make this watch an ideal companion for Christian Redl on his record breaking attempt. With a case that is water resistant to 3,000 feet, a scratch proof and glare proof sapphire crystal, a trouble-free Edox 103 quartz movement, and a comfortable structured black rubber strap, Christian is free to concentrate on his dive. His watch will take care of itself. 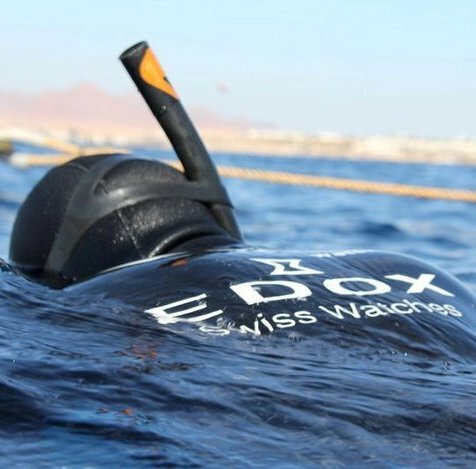 Edox stands behind Christian Redl as he prepares for this impressive and fascinating world record attempt. If you appreciate fine timepieces, you can show your support by wearing one of the 203 available Iceman II Limited Edition timepieces on your own wrist. Even if you never get beyond the shallow waters, you will have the security of knowing that you have exactly the same watch that Christian Redl will be wearing on his record setting dive. 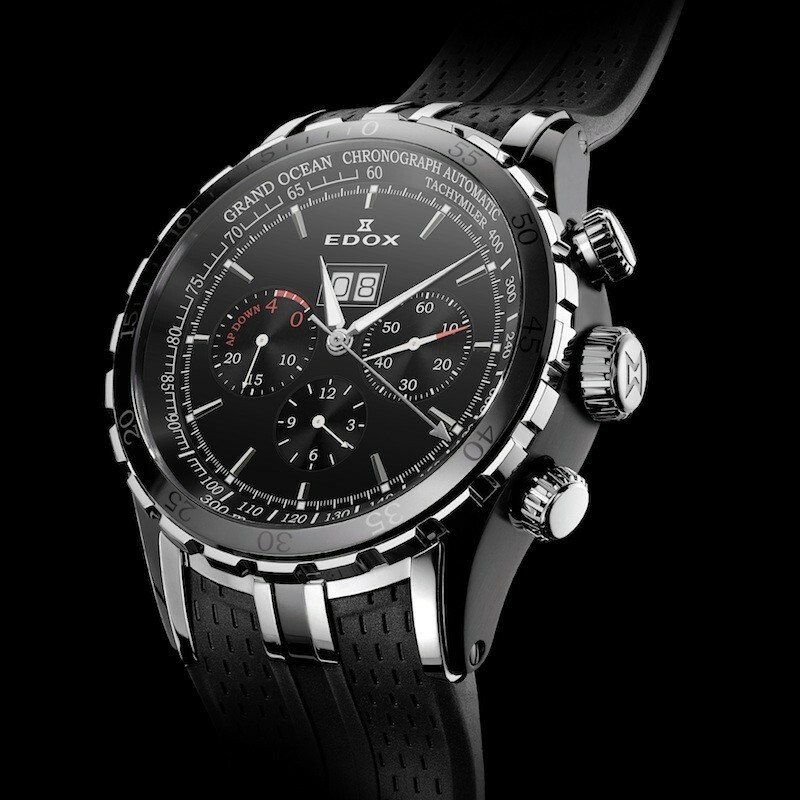 To reserve your own Iceman II Limited Edition Chronograph, contact an authorized Edox dealer immediately. 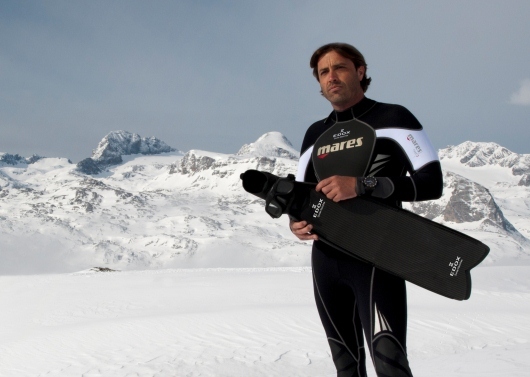 February 12th, on the small frozen Weissensee lake in the Austrian Alps, Christian Redl, world specialist in free diving under the ice, dove to an amazing depth of 61 meters below the ice. The previous record was set at 56 meters below. With an ice thickness of 31cm, Christian’s dive lasted one minute and 51 seconds in a two degree Centigrade water temperature. What a fantastic and exceptional performance! Christian Redl, who has been kept from training for almost a week due to a bad cold, was close to canceling this attempt to beat the world free-diving record. In the end, Christian decided he would dive. Now, he’s the new World Champion in under ice free-diving. Edox, the Swiss watchmaker whose history is marked by countless inventions — some of which remain unsurpassed up to this day — is Christian Redl’s official timing partner. 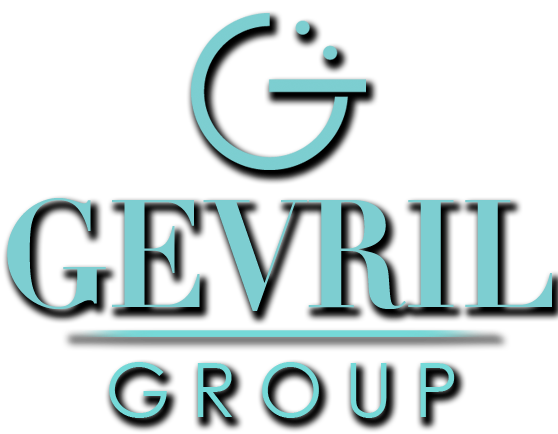 Sturdiness, extreme conditions, technological expertise and reliability are the keys to their joint philosophies. 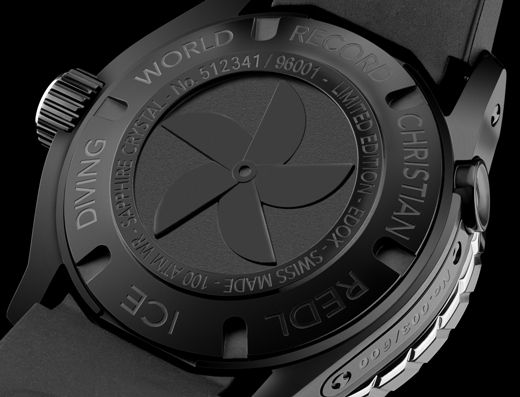 The diving watch worn during this new world record was the Iceman I Limited Edition, available worldwide. A little mountain lake called Weissensee, situated in Carinthia, Austria, has the largest surface of ice in the Alps. It is the place chosen by Christian Redl for his attempt on February 12 to beat the world record for free-diving under ice. The current record has been set at 56 meters below the ice. In February, the temperature of the water is around 2°C. Through a square opening cut out of the massive layer of ice, the water appears pitch-black, inhospitable and deadly. Submerged in this icy world, Christian Redl will wear only a thin neoprene diving suit, merely 3 mm thick. His body covered in grease, so that he can resist as long as possible the cold that will numb him to the bone, he will lower himself into this shadowy universe. At a depth where his lungs, constricted by the pressure from above, will have shrunk to the size of a fist, Christian will have to keep his clear-headedness and summon the strength necessary to descend 60 meters and carry away the world champion title. This dive will last about 120 seconds — longer and the sensation of cold will become increasingly intense and fatally dangerous. 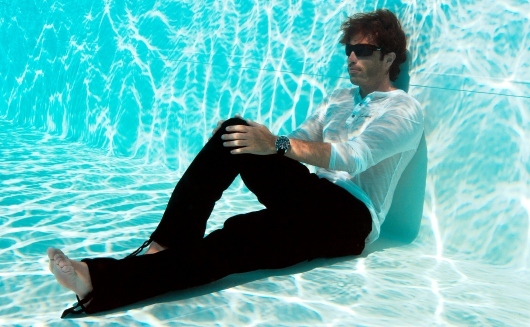 Christian Redl, who was born in Austria in 1976, has become the world specialist in free-diving under ice. Besides this exploit, for him there is also a philosophy of life: an attraction to the extremes, continually pushing the limits even further, and living his life to the fullest. On his wrist and during the record-breaking attempt, Christian Redl will be wearing the new Edox watch, the Iceman I Limited Edition, a sturdy high-tech model that can be used under water down to a depth of 1000 meters. 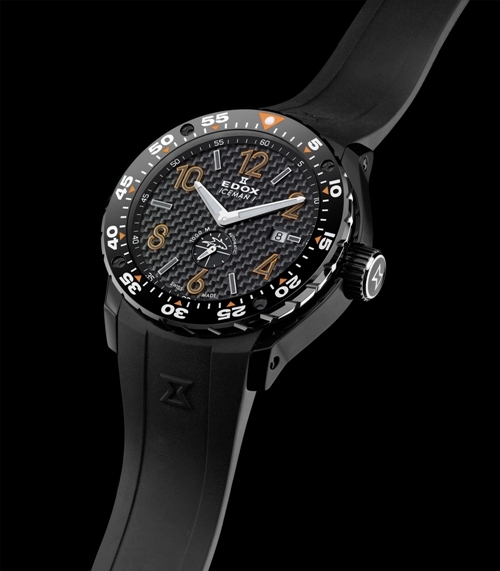 In addition to its rubber strap, the Iceman I boasts a magnificent black carbon dial with orange numerals that provide optimal readability under water, and the case back is superbly engraved with the free-diver’s name. 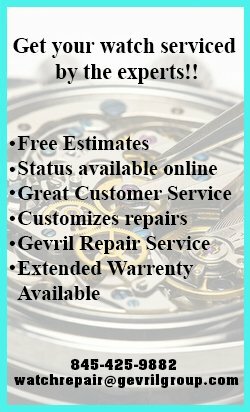 The watch is equipped with a solid mechanical movement and is decorated with a rotatable, unidirectional black ceramic bezel. Edox, the Swiss watchmaker whose history is marked by countless inventions — some of which remain unsurpassed up to this day — is Christian Redl’s official timing partner. Sturdiness, extreme conditions, technological expertise and reliability are the keys to their joint philosophies.